Quality Talks 2018 Preview | Andy Reynolds | NCQA - The #HCBiz Show! When it comes to healthcare conferences, it’s easy to get stuck in an echo chamber. Too often it’s the same ideas about the same topics from the same people. That’s why I found last year’s Quality Talks event so refreshing. NCQA brought together a varied set of speakers and topics that were guaranteed to offer a fresh perspective to anyone who attended – they certainly did for me. As a 1-day event, it was easy to get in and get out without disrupting my entire week, and the deep, TED-style talks were a welcome break from the typical stream of panel discussions. Since I enjoyed it so much last year, I decided to give you this short episode to preview the 2018 event. My guest is Andy Reynolds, Assistant VP of Marketing and Communications at NCQA and the master of ceremonies at Quality Talks. Andy tells us about Quality Talks 2018, the tracks and speakers and explains what NCQA is trying to accomplish with the event. 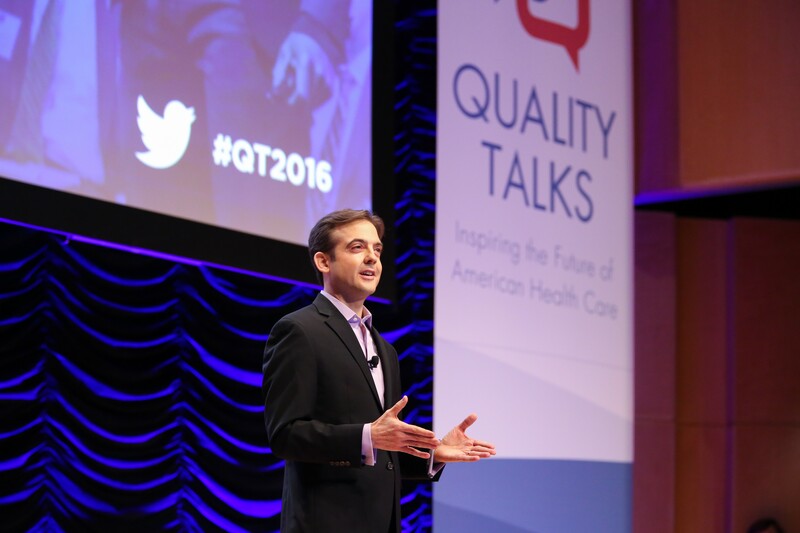 Quality Talks 2018 takes place on October 22, 2018, in Washington, DC. Andy Reynolds is the Assi stant VP of Marketing and Communications at NCQA and the master of ceremonies at Quality Talks. Digital Quality Measures 2.0 | Rick Moore | NCQA – a conversation on the future of quality measurement with NCQA’s CIO Rick Moore. Practical Innovation at the Health IT Expo | John Lynn – Andy discussed the importance of bringing the patient perspective on stage and I mentioned that the Health IT Expo had a patient as the opening keynote at their inaugural event.